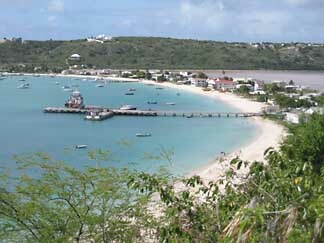 At first glance, you may think that Anguilla shopping is not this Caribbean island's #1 activity. And you'd be right. But who cares? 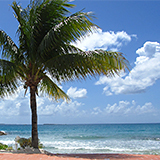 St. Martin, a duty free country, is a mere 20 minutes away. For many reasons, most items are much cheaper, and the shops are more exciting and varied. But, while you have to hunt a little, you will find some truly unique shops and galleries scattered around -- yes, Anguilla shopping does exist. The store is the best in Anguilla shopping... hip, cool and calm. A radio pipes reggae music, while you browse through fashionable pants, shorts, bathing suits, caps, sandals etc. The clothing is relaxed and breezy. Perfect for Anguilla beach weather. Beautiful, colorful, tropical prints are a trademark of the store. It's easy to miss Irie Life while driving on this road. Why? Because we all look left, towards Sandy Ground, while the Irie Life sign and store are on the right! We passed right by it... twice! Also, Irie Life is not located right on the road. Rather, we found this fun-filled store tucked away behind another charming gift shop (although the owner of that store rarely seems to be in -- if the door is locked, ring the bell -- it's a nice gift shop). Everyone in the family found something fun and interesting to wear here. Even though I truly loved this one of a kind shop, my Dad loved it much more than I did! He loved the pants, shirts, caps, the atmosphere - everything! He bought half the store each time we went! 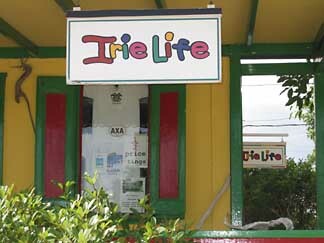 For a full report, there's more on Irie Life here! Most Caribbean islands are filled with street after crowded street of duty free electronic & jewelery shops. Not Anguilla though! Like I said, St. Martin has many more shops and we especially loved the french side. Finding neat shops like Irie Life and Cheddie's is more fun, though. "Anguilla shopping" is sort of like tripping over unexpected gems, rather than trekking from one well-merchandised store to another. Owned and run by Ken and Renee Reinl, Limin' Boutique carries unique and authentic Anguillian and Caribbean souvenirs hand-made in the region. Beachy and breezy, this shop has such a fresh feel, reminiscent of beach-side shops up in the Northeast and Nantucket. What began as a hobby for founder Carrol Shannon has grown into a thriving business. Producing hand-crafted, island-made soaps, scented candles and a whole range of body care products, Caribbean Soaps & Sundries' products make for sweet and special gifts and souvenirs. The only store of its kind on the island, Megasavers offers a wide variety of goods from pool and beach toys to homeware, all at a discounted price for members. 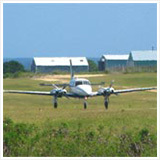 With shipments arriving regularly, they have a terrific selection of items. 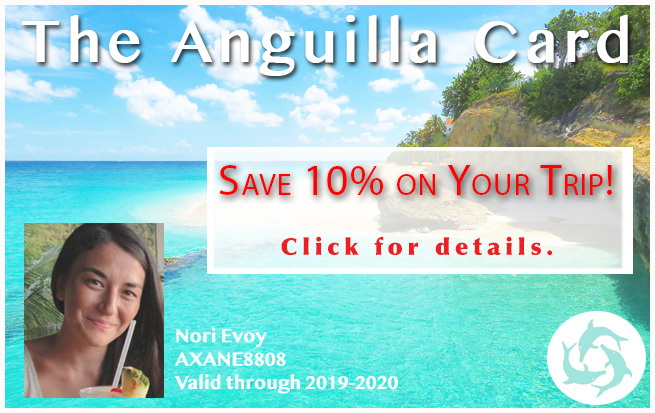 Offering a 100% Anguillian-made product, Anguilla Sea Salt sources and creates ready-to-eat salt from Anguilla's oceans right in Island Harbour. A family owned and operated business, it's a unique souvenir sold in a charming West Indian-style cottage. Step into Olivia Lake's workshop, The Gift Box, for a varied offering of high quality gift baskets fit for every occasion. 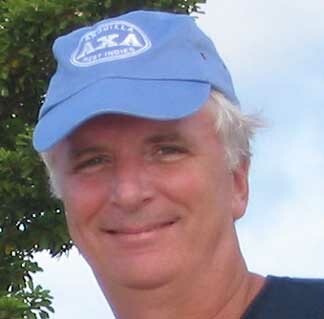 Gadget City is Anguilla's go-to tech shop. 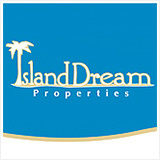 They carry a wide variety of items, all at competitive prices. If you're looking for a WiFi spot (serving complimentary coffee and tea), or need access to a printer, they've got you covered for that, too. 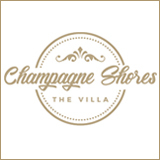 Petals Boutique on Meads Bay is open! 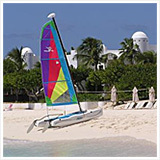 Petals offers a refreshing Anguilla shopping experience by the beach. 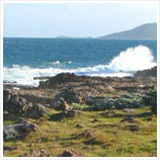 Petals carries everything from trendy beach wear to locally made and Anguilla-inspired crafts. Visit Exotic Plus to get the goat! 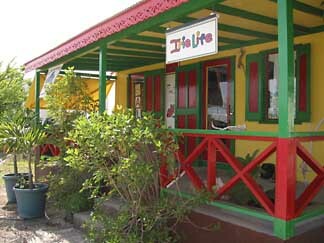 A colorful one stop shop for artisan crafts, Anguilla souvenirs and sweet smoothies. Stop in for a sip and a chat with Sea Spray's owner, Pam! A charming shop in Sandy Ground, Bijoux Boutique catches the eye with its pretty decor. Go inside to find many items for children, women and a few for men too. A store of our own :-) Anguilla Beaches' Gallery & Print Shop is an online collection of some of your favorite Anguilla photos, seen on our Instagram and in the Newsletter. This digital shop brings you prints and ready-to-hang canvas versions. Here's to bringing "Anguilla blue" home! If you come looking for Why Knot, you will find da'Vida's gift shop! It has a nice assortment of beach cover ups, sandals, and small gifts. Worth a visit if you are having lunch at da'Vida's Bayside Grill. 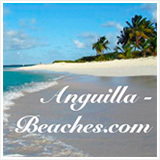 Looking for trendy wear on Anguilla? Boopsie's Boutique is one of a kind, rivalling even the most fashionable shops in Canada's fashion capital, Montreal! 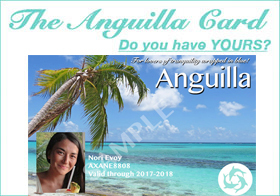 Fabiana Liburd designs the most classic Anguilla souvenir, perfect for everyday use on your visit to Anguilla and filled with the warmest memories upon your return home. Don't miss "Why Knot," at da'Vida on Crocus Bay! Fun, funky, tasty and refreshing! What more could a girl want? An off-the-wall jumble of ocean debris and flamboyant personality! What's Your Favorite Anguilla Shop? 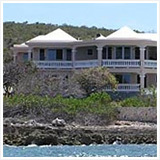 Have you discovered a special store, hidden gem, resort boutique on Anguilla? I'm sure I'm not the only one who is always on the look out for great shops for our next visit. Share with your fellow shoppers! We'd love some great tips and stories, too. Do you have a pic to add? Great! Click the button and find it on your computer. Then select it. 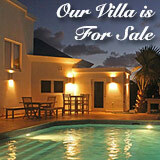 Click here to see the rest of the form and to share your favorite Anguilla shop. 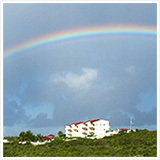 Click on the links below to read shopping tips and stories written by other visitors to Anguilla.